Phoenix hot air balloon rides have been a favorite attraction in Arizona for many years. 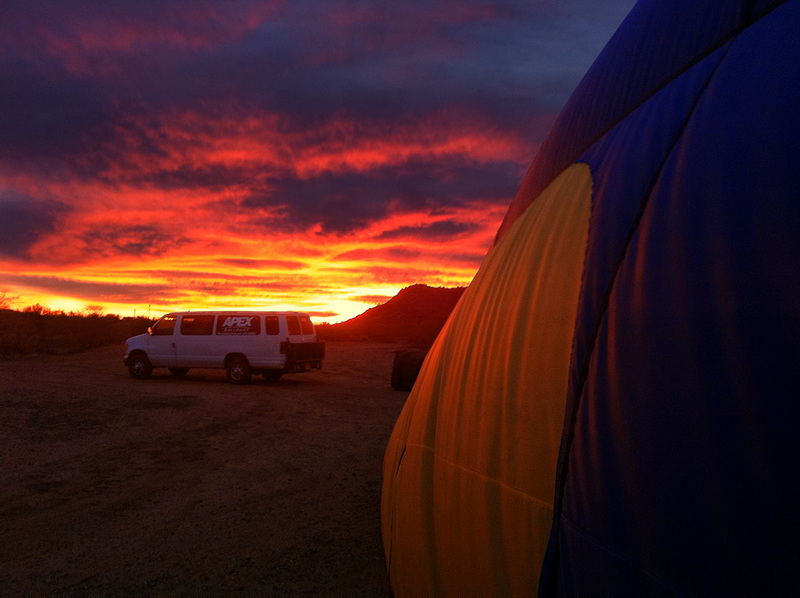 Join Apex Balloons on your own hot air ballooning adventure - an unforgettable balloon expedition into the desert sky above beautiful Phoenix and Scottsdale, Arizona. 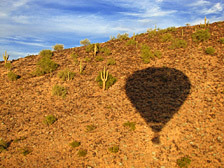 Balloon rides in Scottsdale, Arizona offer a wonderful view of the varied flora, fauna and terrain of the Sonoran Desert. Here we skim low up the side of one of the many mountains in the Phoenix area. 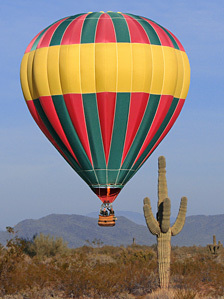 Floating low over a giant Saguaro cactus - a regular sight on any given hot air balloon flight in Phoenix, Arizona! 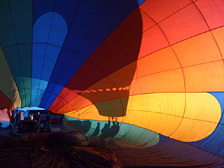 Apex Balloons is a professional hot air balloon company offering premier hot air balloon rides in Phoenix/Scottsdale, Arizona. We launch our Phoenix balloon rides seven days a week from October through May, with balloon flights scheduled daily at sunrise, weather permitting. Sunset flights are available from mid-November through mid-March. We specialize in private balloon flights for two or more guests, as well as group balloon excursions for up to 30 or more passengers. 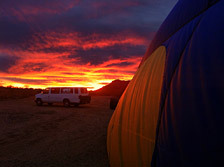 Our Phoenix hot air balloon rides offer scenic views of the rugged desert landscape of Arizona. 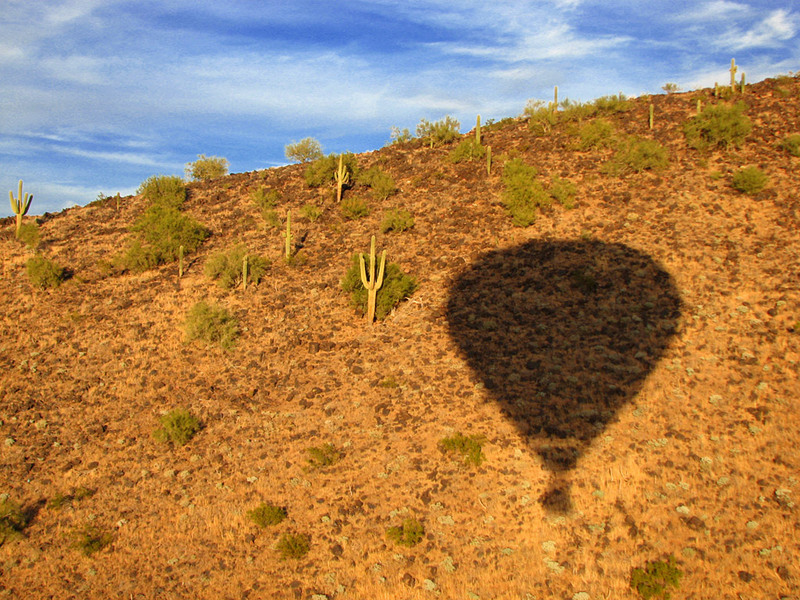 We'll have the ultimate vantage point of the Sonoran Desert from our balloon over North Phoenix as the sun wakes up the day or gently sets on the horizon. 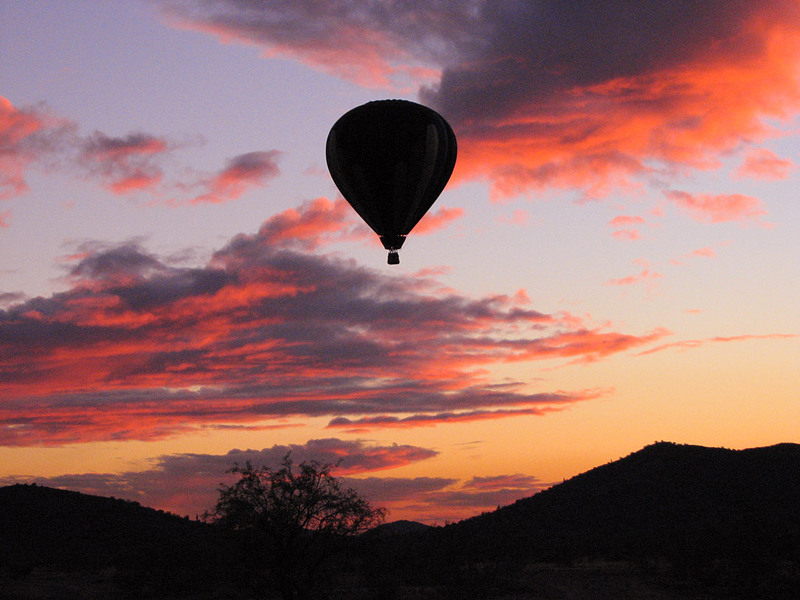 Wildlife is in abundance in certain areas, and we'll often see quail, jackrabbits, cottontails, and sometimes the occasional coyotes, mule deer, javelina, roadrunner, and others from our hot air balloon's basket! 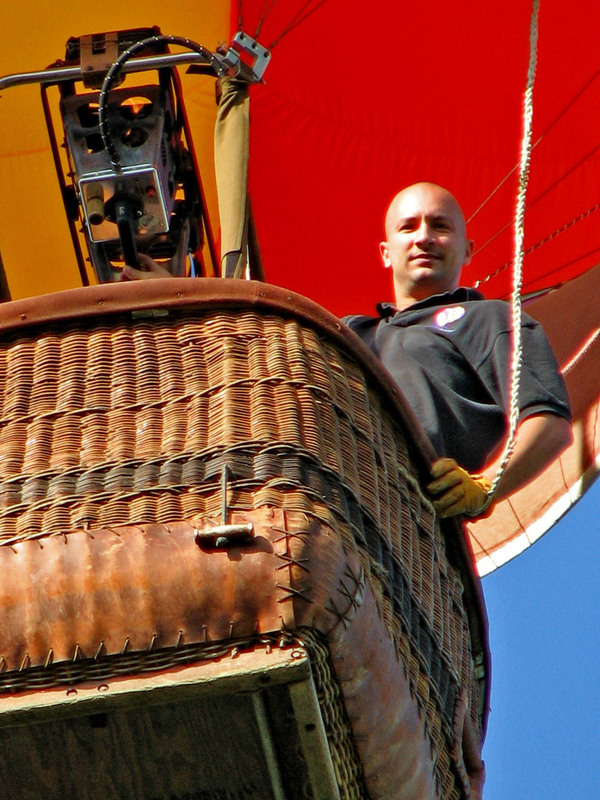 Please take the time to read all the information on our website - most of the typical questions you'll probably have (like pricing) are answered on the Balloon Rides Page and the FAQ/Information Page. 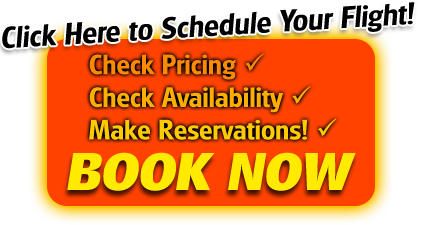 If there are any questions that aren't answered, please call us toll-free at 1-877-9-HOTAIR (1-877-946-8247) or locally at 602-903-7246 and we will be more than happy to help.